Jesus of Nazareth never wrote a book, held political office, or wielded a sword. He never gained sway with the mighty or influential. He never took up arms against the governing powers inRome. He was a lower-class worker who died an excruciating death at the age of thirty-three. Yet, in spite of all odds-obscurity, powerlessness, and execution-his words revolutionized human history. 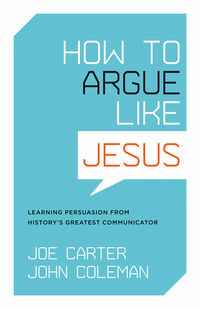 How to Argue Like Jesus examines the life and words of Jesus and describes the various ways in which he sought-through the spoken word, his life, and his disciples-to reach others with his message. The authors then pull some very simple rhetorical lessons from Jesus’ life that readers can use today. Both Christian and non-Christian leaders in just about any field can improve their ability to communicate effectively by studying the words and methods of history’s greatest communicator.